I’ve been writing this blog since 2006 and it has been a way for me to express my passion for health, nutrition, rehabilitation, injury prevention, chronic pain and just my thoughts on sports medicine in general. 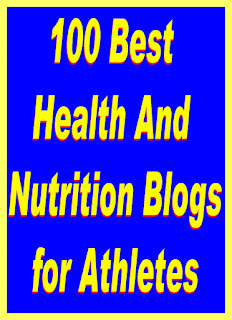 This morning I open my email box to find that my Natural Sports Medicine Blog has been included in Nursing Degree.net's 100 Best Health and Nutrition Blogs for Athletes. And I’m quite happy and proud. I do this blog purely to be part of the bigger conversation about sports medicine, health and the various topics I write about. In large part, it’s part of my effort to continuing my own education. Hopefully some of the info will benefit someone else out there, maybe help another doc or therapist help a patient or two, or simply be informative and maybe sometimes even amusing. I thank all those athletes who trust me with the bodies they work so hard to improve; And to the patients who trust me with their aches and pains and who continue to refer their friends and family for care. I thank all those who take a few moments to read what I write and rant about. I thank my good friend Brian Tannebaum, Esq who helped me get this blog started and mentored me through the process. If you click on the link to the 100 Best Health and Nutrition Blogs for Athletes, scroll down the list….NSM-blog is listed at #71. Which is the first one listed under the section “Sports Medicine”. Thank you all for reading & supporting my blog. My condolences Todd about your grandmother. 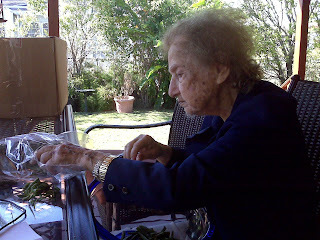 You were definitely blessed to have her as long as you did.